The EMMETT Technique is a complete therapy on its own but has the ability to work in combination with other skills your EMMETT Practitioner may have. Your Emmett Practitioner has been extensively trained in the principles and practice of the EMMETT Technique. They are skilled to quickly assess and release muscle tensions appropriate for each individual’s needs. The EMMETT Technique is not intended to replace medical advice or treatment. It is recommended that your consult your own GP. 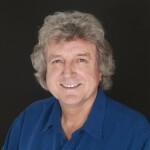 The EMMETT Technique is a unique body therapy created by Ross Emmett. It is a technique which has been shown to ease pain and discomfort, increase movement and improve quality of life. The EMMETT Technique involves the application of light finger pressure at specific points on the body. In a similar way to the workings of a touch-screen the body responds to this light touch by changing muscle tension and action. scans and blood tests, all to no avail.